Our environmental policy; laying out our efforts to be environmentally friendly. We were awarded the ISO 14001 certification for our environmental management system. Our Environmental Objectives are, “Promotion of Saving Energy and Resources,” “Reducing Waste,” “Green Procurement, ” and the effective use of materials and energy, and the promotion of recycling and reuse. And, we manufacture our products using components that conform to RoHS directives and ecological electric wires. In Ishikawa prefecture, citizens voluntarily cooperate to prevent global warming. 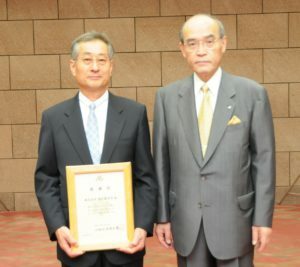 The “Ishikawa Residents’ ECO-Life Campaign” has been held since 2006. We have supported and participated in this campaign ever since it began. In 2009, our support and cooperation were recognized with a certificate of appreciation. 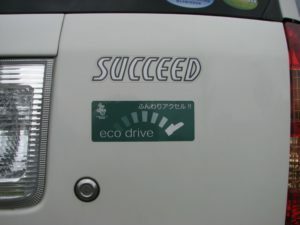 In April 2009, the ECO Drive Campaign Council made and distributed “ECO drive” stickers to raise awareness about, and to promote driving practices that are good for the environment. All BETSUKAWA corporate cars display an ECO drive sticker. ECO drive stickers have also been distributed to all BETSUKAWA employees as part of our on-going effort to raise employee eco awareness. Our main office is located in Matto’s Advanced Technology Park. Twice a year we join with other companies located in the Advanced Technology Park to clean up the road. Copyright© Betsukawa Corporation. All Rights Reserved.